The Ultimate Fighting Championship on Wednesday announced that Jeremy Horn will make his return to the Octagon to face Nathan Marquardt on Feb. 2 at UFC 81. Marquardt had been slated to face rising talent Thales Leites. The Nova Uniao fighter had to withdraw from the fight on Tuesday when it was announced that he had suffered a broken hand. According to UFC.com, Leites will have to undergo surgery to repair the injury. UFC 81 will mark the first time that Horn has competed for the promotion since back-to-back wins over Trevor Prangley at UFC 56 and Chael Sonnen at UFC 60. Following his exit from the promotion in early 2006, Horn has gone 1-2 in his past three fights, defeating Falaniko Vitale and losing to Matt Lindland and, most recently, Jorge Santiago. Marquardt is also coming off of a loss heading into the fight with Horn. He was unsuccessful his bid to wrest the middleweight championship away from Anderson Silva at UFC 73. It was Marquardt’s first loss in more than three years. 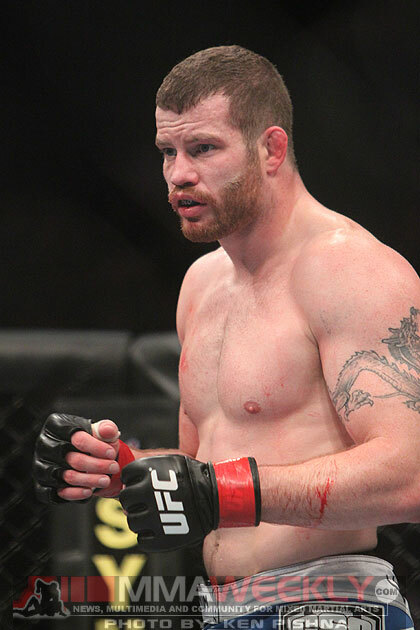 A fight between Marquardt and Horn was actually scheduled to take place in Sturgis, S.D. in 2004 at an International Fighting Championship event that fell apart amidst a scandal between its business partners.